Written by Ashley Roberts on May 16, 2018 in Community Outreach , Heritage Tourism , Interpretation , Technology , Tourism . Have tours you want to transfer to a digital platform? Looking for ways to engage guests at your site or in your historic corridors? Looking to add ADA compliance to your facilities? Looking to enhance your static signs and exhibits? 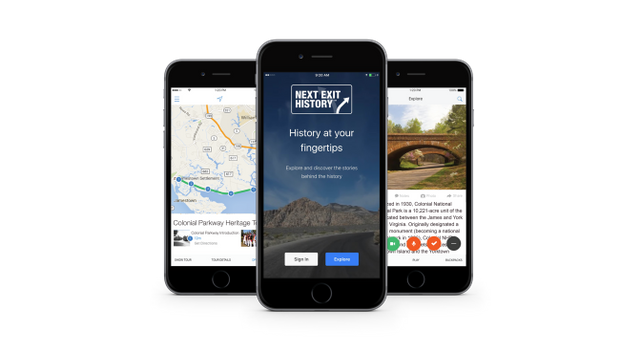 Want to see how Next Exit History can work for you? Now you can!